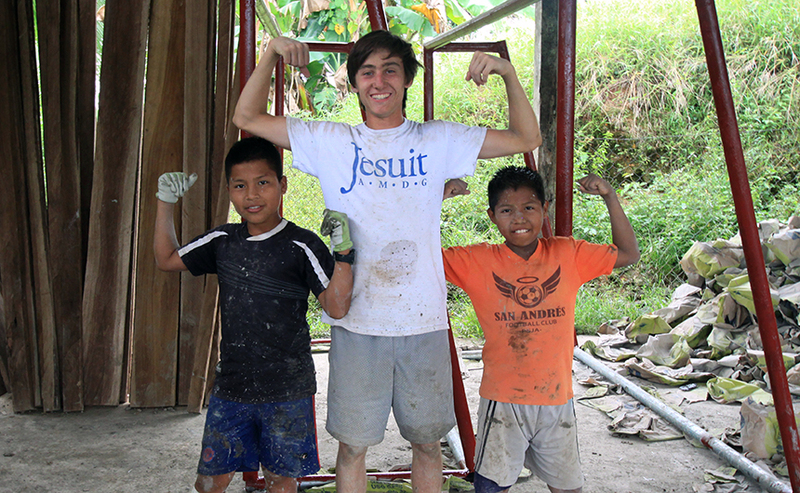 Over the summer, members of the class of 2018 worked hard to complete their Junior Service Projects. 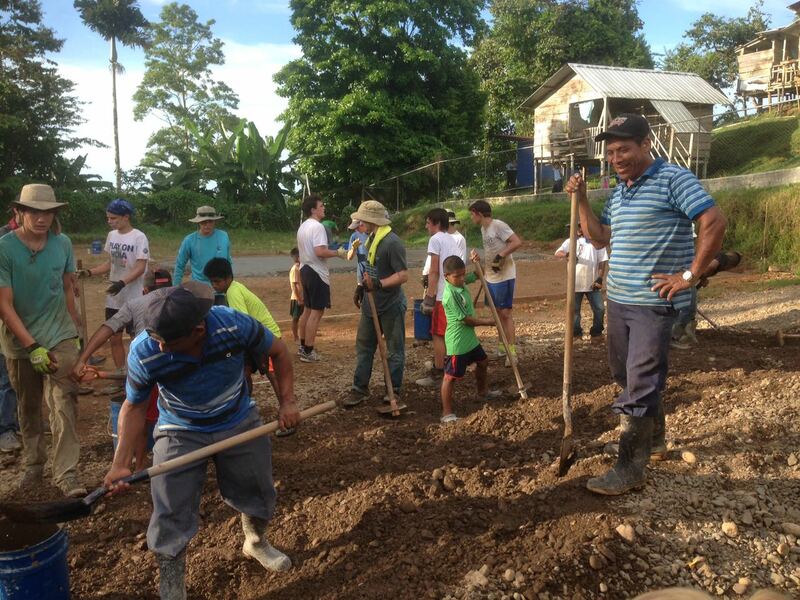 The Panama trip this summer was led by faculty chaperones Helen Swan and Charles Bourg. 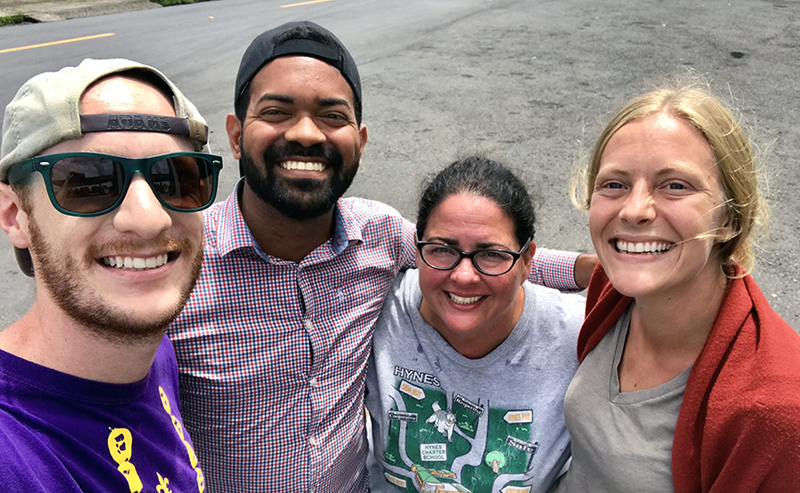 The success of the trip, however, would not have been possible without a year’s worth of planning and preparing on the part of the local community, their Peace Corps volunteer, Mary Condon, and the regional director for Court for Kids, Anibal Cardenas. 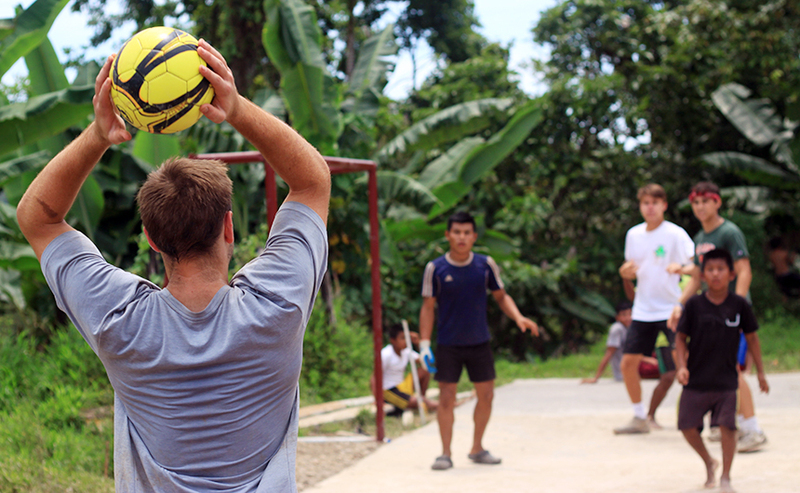 The local community lives a remote area known as Pumona, on the northeast coast of the isthmus, and belong to the indigenous ethnic group known as Ngäbes. 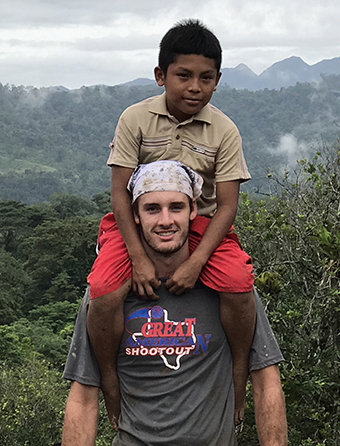 Like the Emberá people served by last year’s Court’s trip, the Ngäbes often face needs such as clean water and sanitation, that go largely unmet by the government. The location of the site created unique challenges for the transportation of supplies and general process of construction. 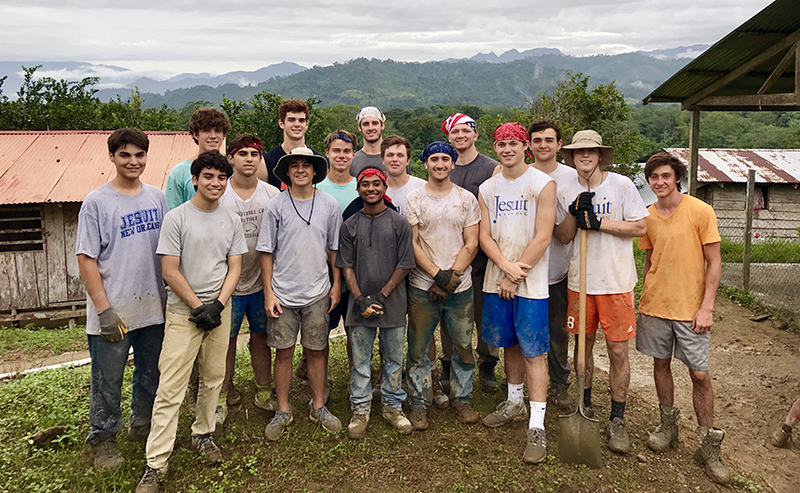 Before the Jesuit group arrived, the community had already carried 2,000 buckets of sand and gravel from the river to the top of a hill where the court would be built. This allowed the Blue Jays to begin work right away on the court. 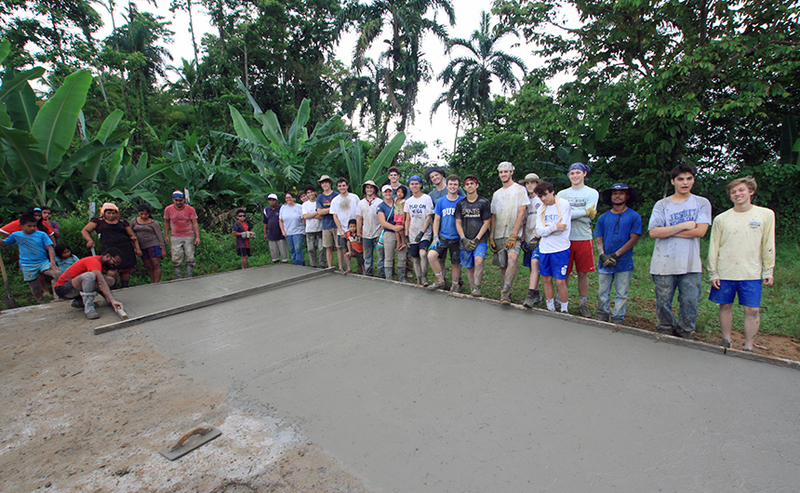 Without electricity, however, the concrete had to be mixed by hand with the sand and gravel before being poured. 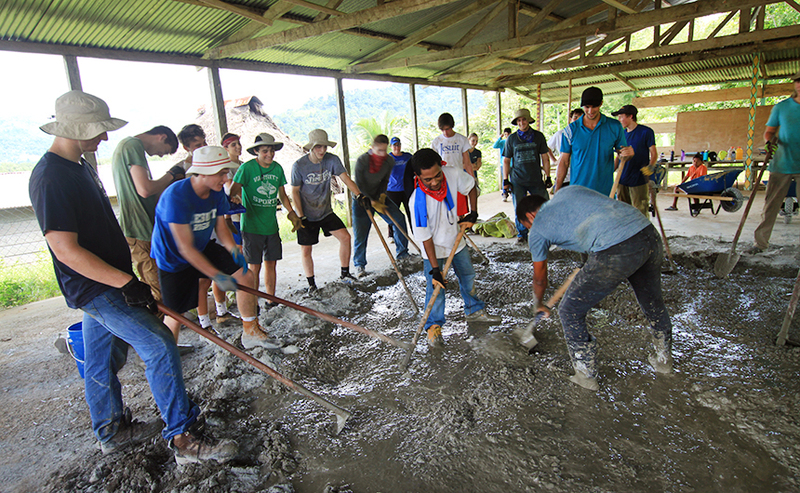 Though it was back-breaking work, the students worked with such efficiency that the original dimensions were expanded to allow for a larger court for the school and community to use. 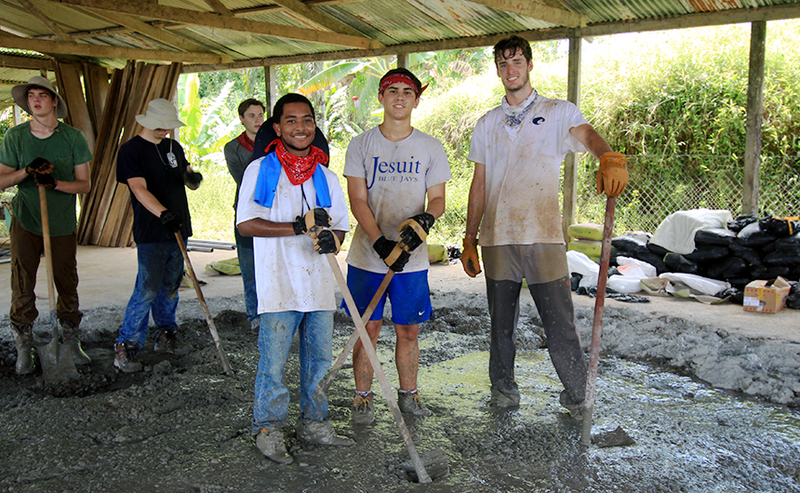 After only four days of work, the court was finished and ready for use in an international Pumona versus Jesuit football game. 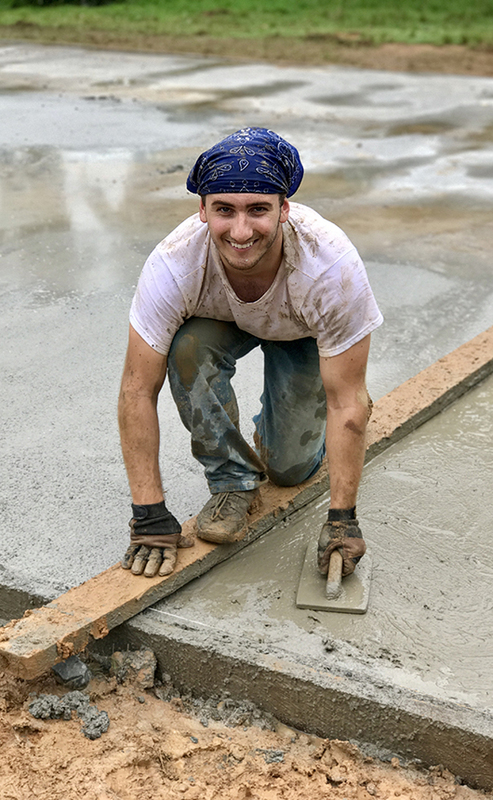 Working alongside the members of the community had inevitably fostered a number of conversations, through broken English and Spanish, that revealed both the similar and strange between the two groups. 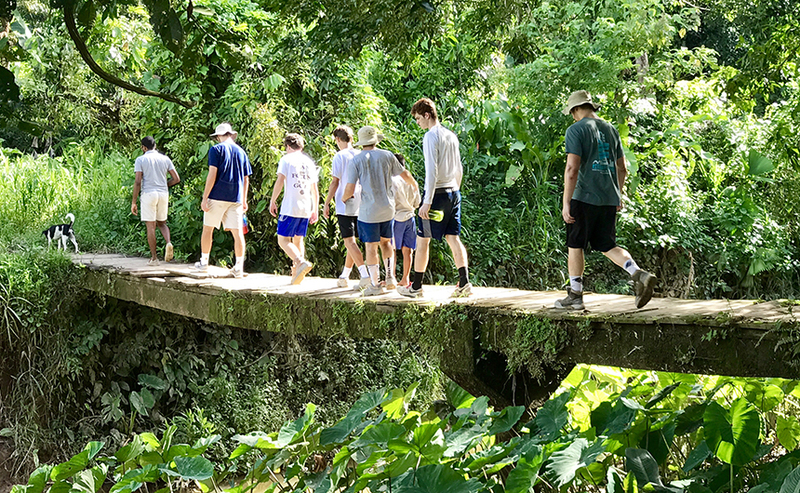 Local children eagerly showed the juniors their natural environment, fearlessly grabbing larger-than-life spiders by hand, picking wild cocoa pods and fresh pineapple for a snack on a hike, or performing back flips off of tree limbs into the rushing river. This was a home they were well accustomed to and one that we were just getting our first glimpse of. 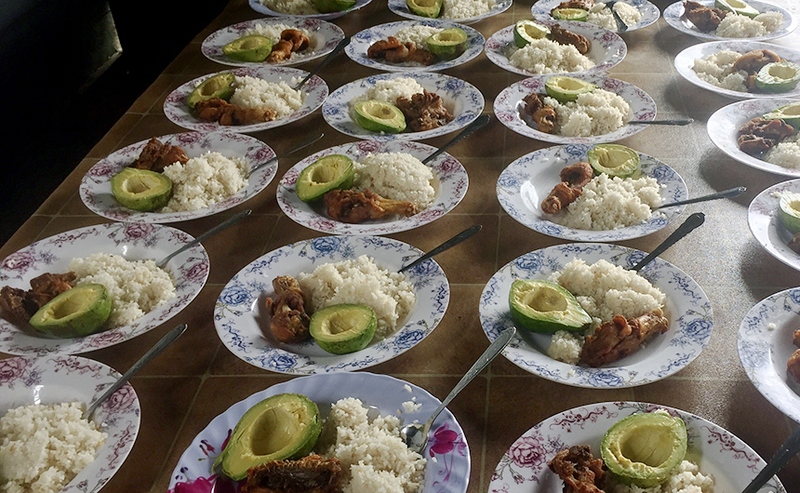 Meals were prepared by local women in the community using freshly harvested ingredients such as avocado, yucca, plantains, lemon grass (used in coffee), limes, taro root, and chickens that were crowing at sunrise. Breakfast typically consisted of “Johnny Cakes”—a fried dough similar to beignets, made from hojaldras, freshly-made coconut milk. Lunch and Dinner were typically a variation of chicken and rice, all equally delicious and incredibly fresh. Reflections at the end of each day fostered discussion on the positives and challenges of the trip, the experience of being well-outside of one’s comfort zone, the newness of another people’s way of life, and how it had changed the perception of our own. 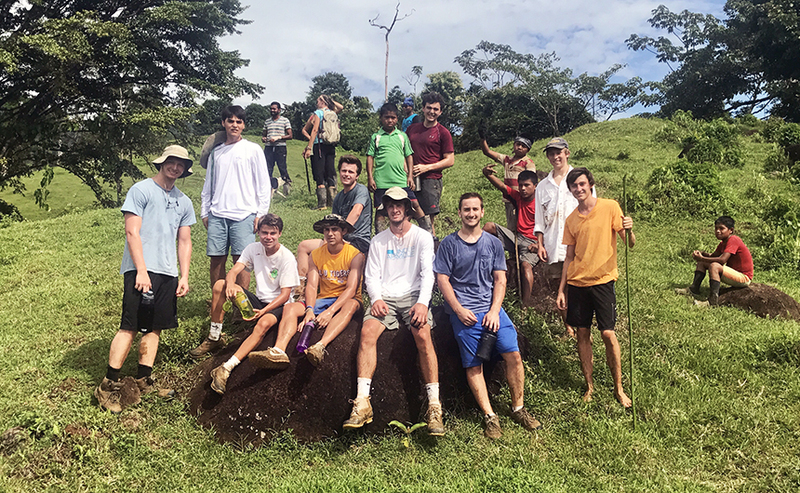 Students were especially impressed with the closeness of the members of the community, who existed intertwined in each other’s life, through a tightly woven fabric of society. As our boat motored away from the Pumona community, and down the river toward the nearest town, our final lesson on life in Pumona was still ahead. Several smaller boats made from a singular, hollowed-out log, paddled past us heading back toward Pumona. Maneuvering these smaller boats were not the seasoned captains we had on ours but small school children headed towards the very school where we had built the court. 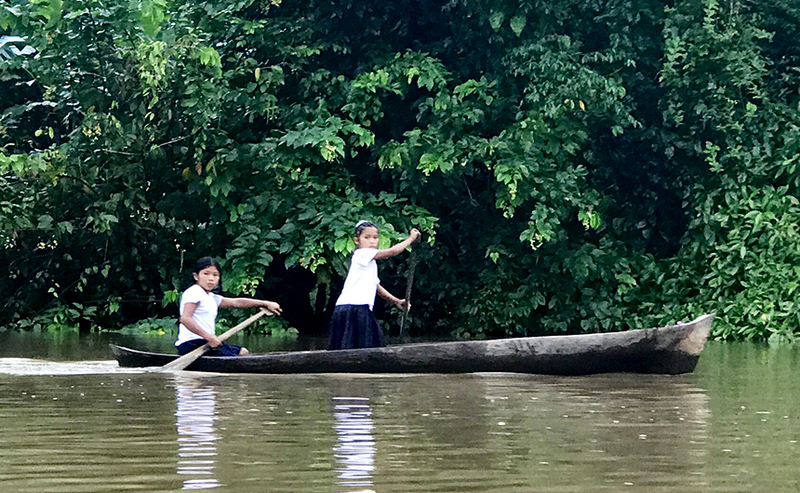 Two or three to a boat, they paddled against the current, determined to make it to school, determined to learn, determined to work hard, and determined to work together.